Clear Lift is a treatment recommended for the women that dream about non-invasive and painless face lifting without using a scalpel. Due to using non-ablative Q-Switched laser, Clear Lift allows to eliminating the signs of aging and visible imperfections on the face. The laser face lifting is a treatment dedicated for the skin requiring a deep regeneration, firming and immediate rejuvenation. The safety of face lifting using the Q-Switch laser was confirmed in various clinical examinations. The non-ablative Q-Switch laser finds its purposes in the case of extraordinarily thin and delicate face skin, independently on its phototype. Due to using different endings, the Clear Lift laser beam may penetrate different skin layers. Therefore, the treatment is effective not only in the case of signs of aging (facial lines, limpness of the skin), but also of other skin imperfections. Are there any contradictions to the treatment? How does the skin look after the treatment? 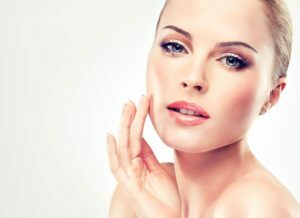 The unique feature of the treatment is a fractional technique of the action, which does not cause any damages of inside skin layer. Avoiding such damages makes the treatment almost completely painless and, what is important, allows the patient to return to everyday activity almost immediately. Treatments do not require a convalescence period. How does this laser work? First of all it is the very first fractional, non-ablative laser on the market, with using Q-Switch technology. A very short impulse of a high energy found its purpose in such problems as first signs of aging, wrinkles reduction, skin restoration and collagen regeneration. What are the recommendations after the treatment? Intensive moisturizing and greasing treated area is recommended. It is also important to remember about using sunscreens and avoiding physical effort and overheating the skin (sauna). How does the Clearlift laser work? Specially designed fractional laser Q-Switched causes a controlled micro damages within dermis, in order to gain a deep mechanical effect, focusing the energy under the epidermis and leave the dermis untouched. The process of micro damager healing stimulates the creation of new collagen and also contracting and tensing the tissue. Treatment is almost painless and does not exclude from everyday activity. It also does not require anaesthesia and is safe for every skins phototypes. The treatment with non-ablative Q-Switch laser usage does not requires any preparation and any convalescence period. The whole procedure, depending on treated area, lasts about 15 to 30 minutes. After the procedure, there is applied a UV sunscreen cream. Skin should be covered of sun few days after the treatment and also properly moisturized and greased.